Karla Dussan holds a Bachelors of Engineering in Chemical Engineering from the National University of Colombia, and a PhD from the University of Limerick. Her research has been focused on homogeneous and heterogeneous catalysis applied to the conversion of renewable resources for the production of platform chemicals and biofuels. Since joining NUIG in 2015, Karla has been working on modelling and optimisation of thermal conversion processes of renewable materials. As part of EPA-funded work, she has developed techno-economic models for energy recovery from sewage sludge in wastewater treatment plants. 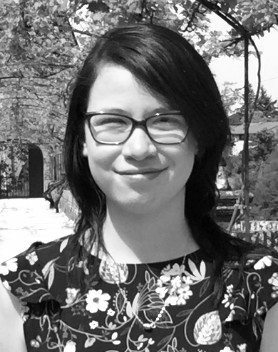 Her current work is focused on the chemical characterisation and kinetic modelling of pyrolysis and gasification of biomass materials, using techniques including Thermogravimetric analysis, Nuclear Magnetic Resonance Spectroscopy and Chemical hydrolysis. Her research interests include: Biofuels, renewable energy, thermal conversion, chemolytic conversion, acid hydrolysis, pyrolysis, gasification, torrefaction, platform chemicals, kinetic modelling, heterogeneous catalysis, fuels characterisation and fuels property prediction. Further information can be found on Karla’s NUIG Research Profile, and Research Gate, Google Scholar and LinkedIn profiles.